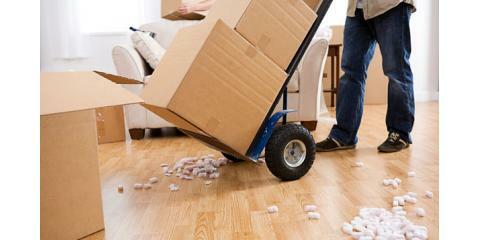 Make moving less stressful by preparing beforehand. The moving and storage specialists of WestPac International in Hawaii, recommend making a checklist at least eight weeks before your move. Marking items off the list will help keep your move organized and on track. Eight Weeks Out: Create a folder for your moving paperwork and start keeping notes. Decide what to keep and what to discard, and find a moving company you can rely on. WestPac International offers both moving and storage services and also offers a free estimate. 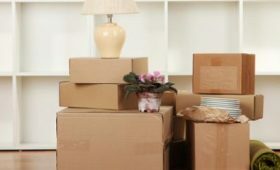 Seven Weeks Out: Start purchasing your moving supplies, such as boxes and tape. It’s also a good time to have a garage sale to rid yourself of unwanted items. Six Weeks Out: This is when you should notify your children’s school of your impending move. Contact your doctor’s office to obtain your medical records if you’re moving far away. Five Weeks Out: If you haven’t yet booked a moving and storage company to help with your move, now is the time! Waiting any longer can cause you to miss out on booking your preferred date. Four Weeks Out: Start packing the things you don’t use day-to-day, labeling your boxes as you go. This is also a good time to notify your utilities of your move and tell your landlord if you’re moving from a rental. Three Weeks Out: Start making plans to safely move your plants and pets. Check to see if your home or rental insurance policies need transferring. If you’re moving far, have your vehicle serviced now so the trip goes smoothly. Two Weeks Out: Start packing with a vengeance! Make sure you separate your valuables, such as jewelry, for safekeeping on moving day. One Week Out: Confirm your moving date with your moving and storage company and pack a suitcase of essentials so you’ll have easy access after moving day. Moving Day: Work with your movers to identify fragile and large items right away. Only sign your bill of lading when you know all items have been moved and accounted for. If possible, do a final sweep of your old home to make sure nothing was missed. WestPac International offers moving and storage services 24 hours a day, seven days a week. If you’re moving to or from Honolulu, call them at (808) 845-9711 to get a free estimate, or learn more online. You can also find them on Facebook and Twitter.